DUBLIN, Ohio, Oct. 15, 2018 /PRNewswire/ -- Cardinal Health (NYSE: CAH) today announced that Victor Crawford will be joining the company as its next CEO of the Pharmaceutical Segment. 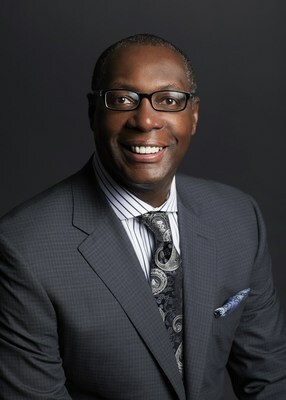 Victor's most recent role was Chief Operating Officer, Healthcare, Education and Business Dining for Aramark. In his new role, he will report to Mike Kaufmann, CEO of Cardinal Health. Cardinal Health, Inc. is a global, integrated healthcare services and products company, providing customized solutions for hospitals, healthcare systems, pharmacies, ambulatory surgery centers, clinical laboratories and physician offices worldwide. The company provides clinically proven medical products, pharmaceuticals and cost-effective solutions that enhance supply chain efficiency from hospital to home. To help combat prescription drug abuse, the company and its education partners created Generation Rx, a national drug education and awareness program. Backed by nearly 100 years of experience, with approximately 50,000 employees in nearly 46 countries, Cardinal Health ranks #14 on the Fortune 500. For more information, visit cardinalhealth.com, follow @CardinalHealth on Twitter, @cardinalhealthwings on Facebook and connect on LinkedIn at linkedin.com/company/cardinal-health.